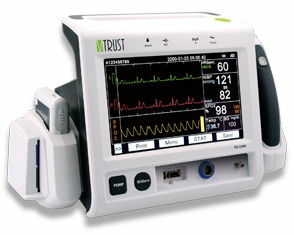 TD2300-G is a patient monitor with built-in SIM-card. The data can be consulted in real-time on the WiPaM telemedicine platform. TD2300-G is only 309mm x 190mm x 190mm big and weighs 2,5 kg (accessories and battery included).